It was indeed a great pleasure to visit Col.legi Mare de Déu dels Àngels, Barcelona, on Tuesday 9 May, 2017. The learning community caters for children as young as 1 year old right through to 18 year olds. Regardless of age they attend from 9:00am to 5:00pm, Monday to Friday with a 2 hour break during the day. Students in upper primary and secondary can leave the school grounds and go home for lunch without any risk assessments or permission notes required. Col.legi Mare de Déu dels Àngels is one of ten led by the Missionary Daughters of the Holy Family of Nazareth. They have a coalition of four of schools in Barcelona, four in the Canary Islands and two in Madrid. Their founder, St Josep Manyamet was proclaimed a saint of the Catholic Church in 2004. 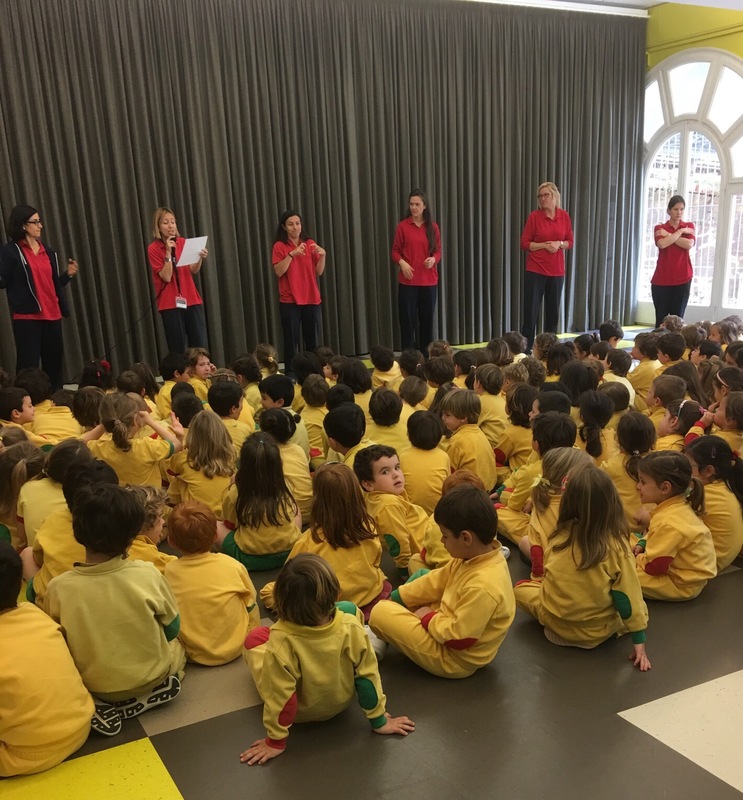 As one of the coalition of schools led by Missionary Daughters of the Holy Family of Nazareth, Col.legi Mare de Déu dels Àngels is focused on learning stimulation before learning memorisation. I was soon introduced to the art teacher working with 3 year olds. They employ specialist teachers for the arts, physical education and technology to work with students as young as 1, 2 & 3 years of age. As part of my tour, I had a chance to speak with the art teacher (through Nelly) where she told me, “Art is not the aim, it is about arriving at other places.” She went onto explain that each of her activities for preschool students have an aim beyond the required (equivalent) learning outcome. The art teacher explained that each activity had a ‘life purpose’ not stated to the class. She used the following examples for 3 years olds to explain. Example 2 – Students were asked to draw with white Crayon on white paper. When they finished nothing could be seen but then they applied water colours over the top. The lesson? Initially you could not see the hard work but we kept working by using a different approach and the end result was worth it. Example 3 – Students were given a small piece of coloured paper. They were then asked to add to it. They had to create something out of (next to) nothing. It is a little bit like writing with a blank piece of paper. People like Austin Kelon and James O’Loghlin will tell you it’s when some of their best creative work has been achieved. 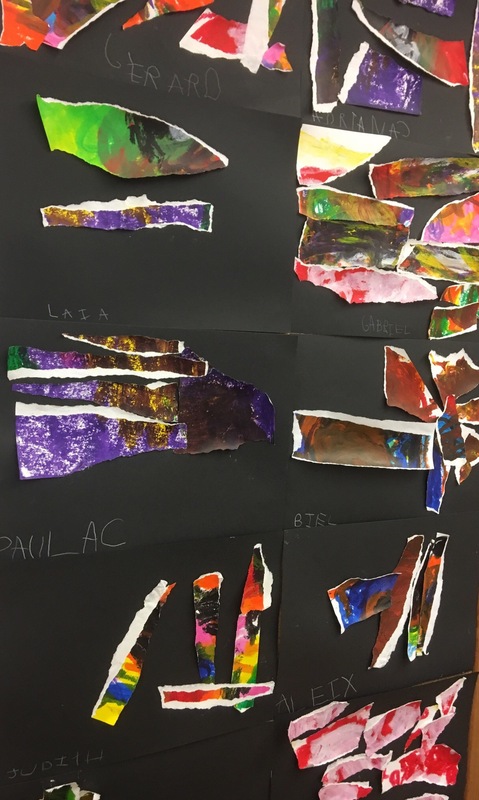 The school likes to engage with the abstract as early as possible with children. This leaves open the choice for a variety of open ended work for young children. The boundaries are broadened, not reduced. Another fascinating observation.. With reference to well accepted research about the best actitivies for people recovering from brain injuries and applying that to all people, Col.legi Mare de Déu dels Àngels has adapted this research to mainstream learning. They have developed what I call the ‘graduated monkey bar program’. As 2 year olds olds, students are required to hold onto the monkey bar for 5 then 10 then 15 then 20 seconds up to 3 year olds, all the time holding the bars with the same grip as a holding a pencil. As 4 year olds students are required, with the help of a teacher to swing from one side to another until they grow to become 5 year olds who do not required the help of an adult. They use their sight to grip each bar with ‘pencil grip’, they swing from side to side to develop the balance of the body as well as the resilience through physical strength and mental toughness to ‘hold on’ to the bars for the entire time – and there was not a ‘soft floor’ in sight! Furthermore, the commitment to ‘whole body learning’ is implemented with a specialist movement program which starts from as early as 1 year of age. Instead of using occupational therapy approaches for students who are lagging behind developmental stages, all children are encouraged to engage in challenging and even risky movement. However, each exercise has a purpose supported with research to complement the learning development of the whole child. See the video below for 1 year olds. Teachers reading to 2 year olds, wait for it, a story about William Shakespeare. Remember, in early years, it is not about understanding, it is about stimulus. Students ​learning the rhythm of music with with words, not notes. They sound out the syllables of words to a beat and then reproduce that on their violin. I saw the difference between 3 and 5 year olds on the day. The difference was very noticeable. Students learning to read through word, gesture, sound. For example, H is for helicopter (with arm swirling above the head) and P is for pine tree (with arms vertically raised above the head forming a triangle). Identifying sounds within words is important and using capital letters to first first read and then lower case by the time they are 4, is part of the method. I am told this approach ensurse all children arrive in Kindergarten with the ability to decode words so they can start their journey of reading for understanding. Teamwork occurring throughout every classroom. There was the 4 year old swimming class (yes, they have a pool but are a working class school) where students were expected to jump into the pool, collect floating blocks, swim to the edge and then work in teams to build something. Year 7 integrated STEAM class, yes five subjects combined because learning is the focus, not just subject knowledge. I saw a Year 10 class called ‘Roboethics’. It is Robotics with ethics. All creations and inventions in this robotics class have to be justified based on the good it will bring to the world. I spoke with 17 year old students who fondly recalled their time at Col.legi Mare de Déu dels Àngels. Most of them started at 2 years of age and all of them can explain the importance of the early years learning on their development as teenagers. They are hope-filled, conscientious and confident young men and women who have highly developed social and emotional skills required to serve this rapidly changing world. Oh, and by the way, the school has outstanding mandated test results, not that they concentrate on testing! Thank you Sister Monica and Kelly for a wonderful and unforgettable learning experience. On Friday 5 May, I had the great privilege to visit Col~Legi Montserrat in Barcelona. This school is one of ten led by Missionary Daughters of the Holy Family of Nazareth. They have four of schools in Barcelona, four in the Canary Islands and two in Madrid. Their founder, St Josep Manyamet was proclaimed a saint of the Catholic Church in 2004. 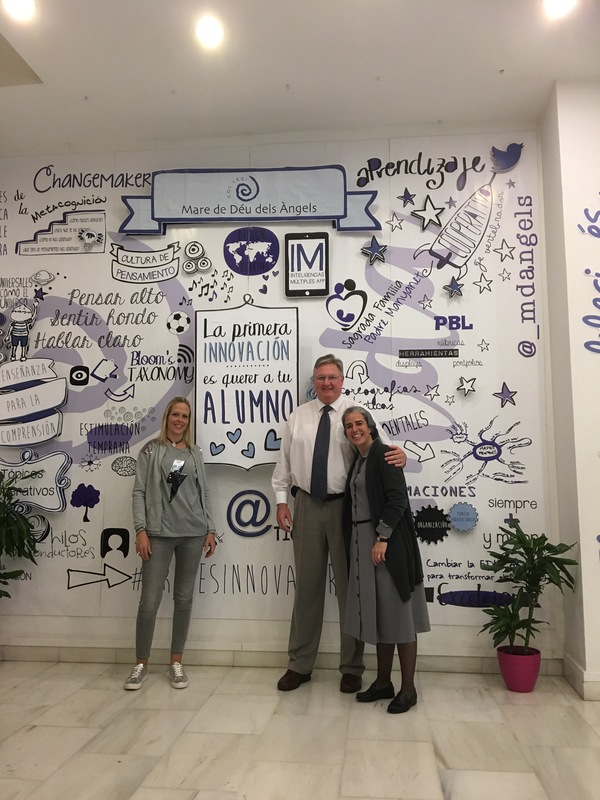 Col~Legi Montserrat provides learning for 1 year old children through to 18 year olds adults, all on the one campus pearched high on the hill overlooking Barcelona. Each ‘year group’ has 60 students with 2 or 3 teachers and hours are 9am to 5pm, Monday to Friday. They have a two hour break at 1pm where they have lunch, play and engage in extra curricular activities, everyday. For preschool (1-5 year olds), the start of each day begins with 30 minutes of prayer, story and play based learning. The story for each day focuses on faith, a value or context based on a theme for the week/fortnight. For example, the 5 May story related to Mothers’ Day. Questions were asked about the characteristics of mothers and then a song was sung and danced by the students. This happens each and every day. At the end of the 30 minutes, those students move off with their teachers. I witnessed 2 year olds, all still learning to talk, start the day by taking the roll. Each student learning to pronounce the name of another as the teacher reads the roll. 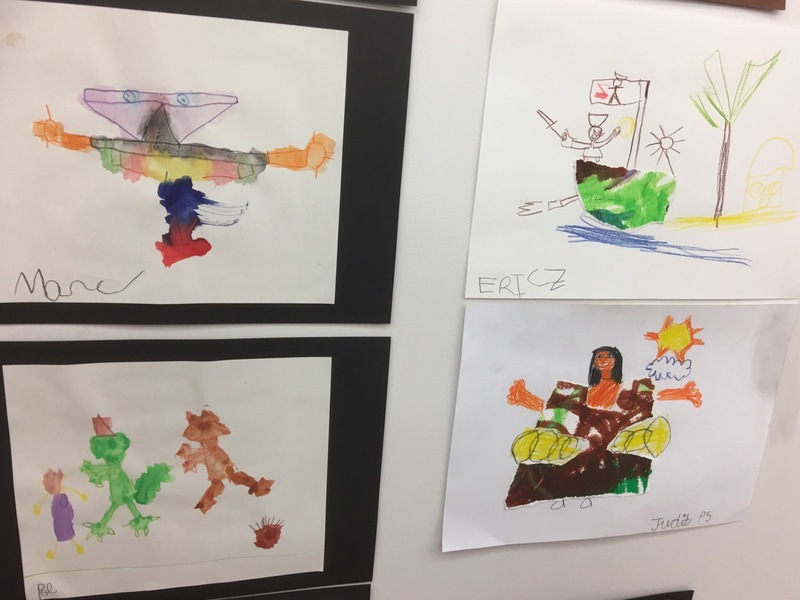 For 30 minutes, 3 year olds engaged with flash cards containing letters, visuals, cartoon pictures and landscapes where students were asked to name the image. Images chop and change quickly. This happens everyday. Instead of a discussion with the principal about mandatory reporting, the teacher named the feelings of anger and hurt. Empathy and understanding can be a focus at any given point as a part of ‘just in time learning’. Without hesitation, the class moved onto the next activity which was counting. There is a also a strong commitment to the arts as a part of catering for and educating the whole child. 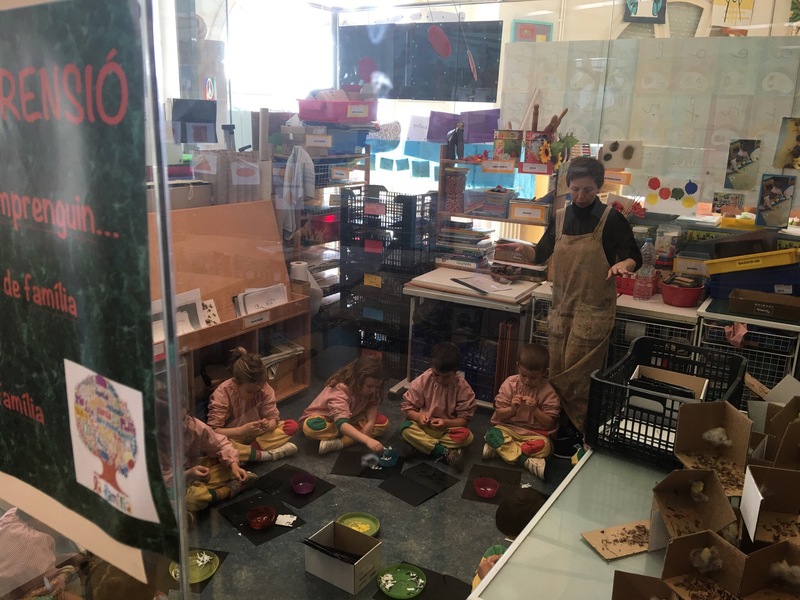 For example, commencing in Kindergarten, there is the commitment for a specialist art teacher to work with children to learn specialist art language and apply that language across class projects within mainstream learning. Also, all 3 to 5 year olds are withdrawn once a week to learn to play the violin. Wow! A Year 1 project which started with the question, “Do you think your journal is suitable?” The question centred around their daily timetable, its operation and its appearance, whether it suited their needs. In responding to this lead question, students interviewed their parents about how they used their time across the week and, as a part of this, they had to learn about minutes and hours in each day. Learn the days of week, heard about times of the day by interviewing parents and grandparents. Year 10 has two hours on entrepreneurship every week. Recently, small groups of Year 10 created a real company based on a social need. It commenced with an empathic investigation by looking at ‘needs’ near and far. One group design a fashion bracelet that acted as a tracking device for those seniors who occasionally wander from their nursing home. 20 years ago, the school developed its own mathematics program for 3-12 year olds. It was heavily scaffolded with high energy activities with actual book work equalling 10 minutes out of a daily one hour commitment to mathematics. The other 50 minutes is made up of play based, ‘whole body’ activities. 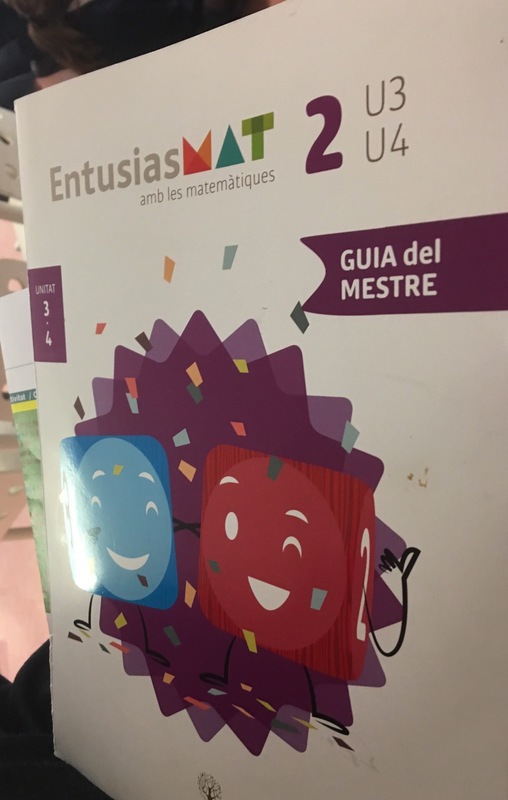 This same program is now present in 700 schools across Spain. In primary, through to Year 8, each child has Coding & Robotics for one hour a week. The ‘subject’ is delivered by a technology specialist teacher who delivers each and every lesson ‘in English’, as is the case for drama & film for Year 7 to 10. Preschool, Primary & secondary classrooms seamlessly flow from one into another. There is no clear division. A few years back teachers asked, “Can we knock the walls down?” So they did! There is only so much you can get to know about a school in a day. Like any other school, I am sure that Col~Legi Montserrat is not perfect. I am sure there have been mistakes made along the way, Sister Monika said there have been many. 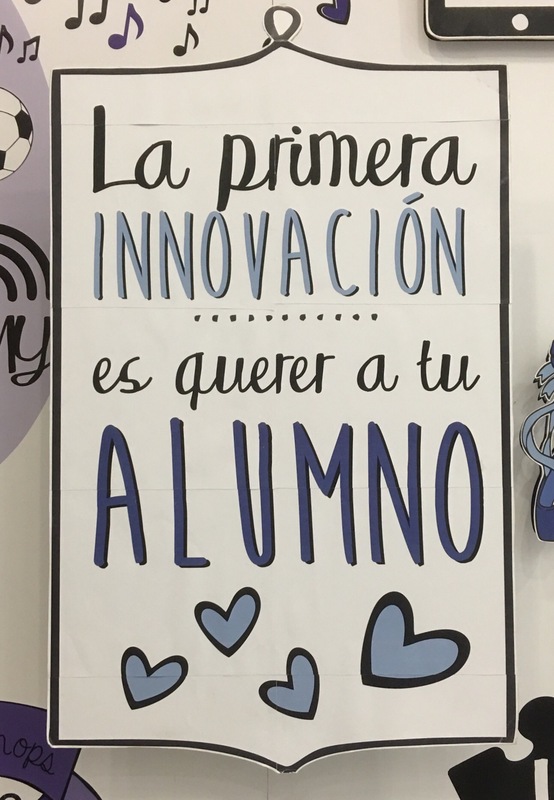 However, it was a privilege to witness a creative school with a commitment to innovation – a school which is committed to being the best learning community it can be and one which has students at the centre, working collaboratively and driving their own learning. 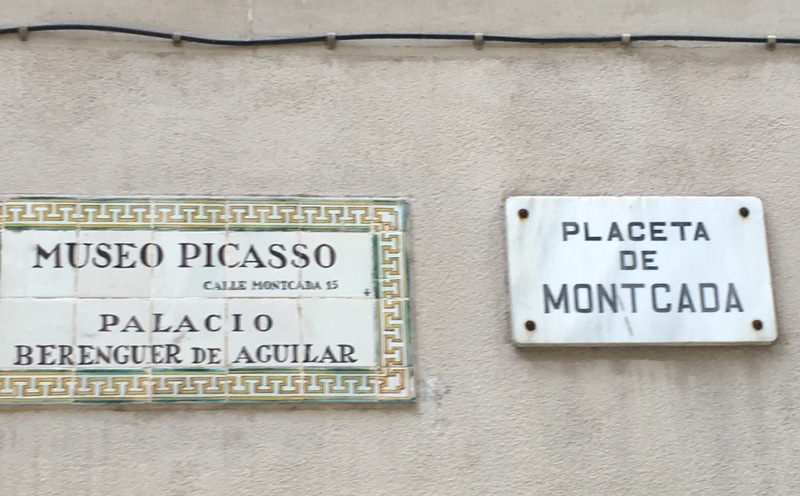 A few days ago I had the distinct pleasure of visiting Museu Picasso de Barcelona. Just to be upfront, I have little artistic capability and even less knowledge of art appreciation; however, knowing that Pablo Picasso is one of the most famous artists the world has known, I felt compelled to visit. Picasso’s father knew early on that his son possessed great talent, and he was keen for his son to extend himself. In preparing for his son’s first entry into an exhibition, Picasso’s father knew the signs of the time and knew what art would attract the judges’ eyes. Therefore, at the age of 13, Picasso’s first piece submitted for public critique adhered to a religious theme, “First Communion”. Whilst the piece did not win the competition, it was noted as a highly commended piece which, at the time, grabbed the attention of the local art world in Barcelona. For me, this is a reminder that young people, when compassionately nurtured and effectively mentored, can occasionally match it with the adults of this world. 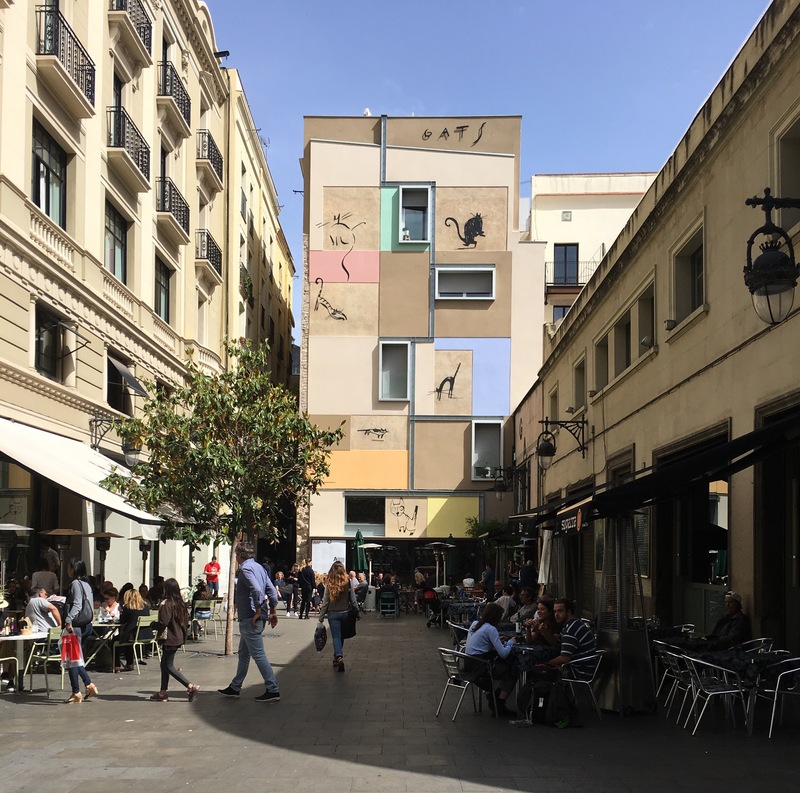 Upon his return, Picasso spent most of his time at “Qautre Gats”, the heart of the artistic and literary world in Barcelona at the turn of the 20th century. This Barcelonian “Avante-Garde” of the time saw Picasso communicate, collaborate and critically reflect with artisits, thinkers, writers and musicians who were experimental, unorthodox and even radical with respect to the arts, culture and society of the time. This for me is a reminder that a “Qautre Gats” approach to contemporary learning will promote the creativity necessary for young people to become creative contributors and innovative problems solvers for a changing world. Of course, Picasso went on to spend most of his time in Paris where his most of his famous works were produced. However, one cannot underestimate the influence his formative years of learning had on his most famous years as an artist.